There are some changes to the faces you’ll see at Westside Midwives. 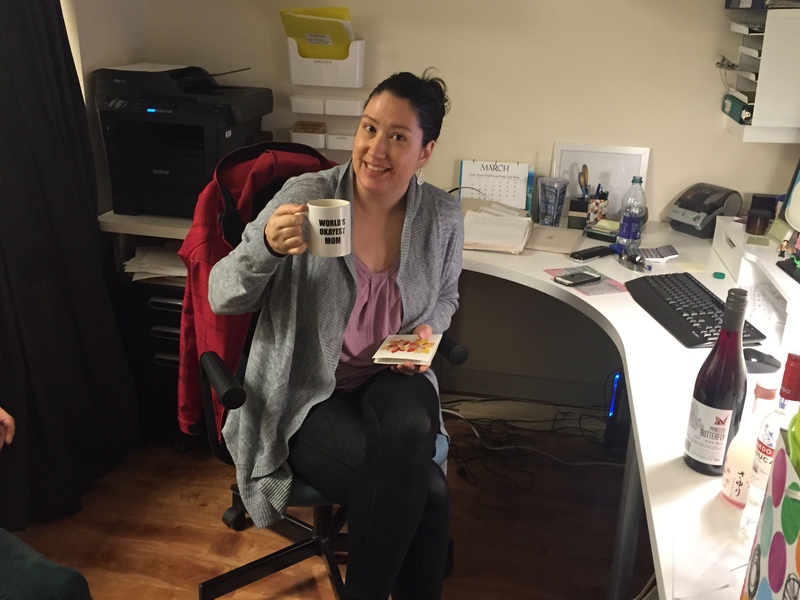 One of our lovely administrators, Lindsay, has moved on to have more time to commit to her studies and passion around investigating and promoting care for pregnant people in BC. While we’ll miss Lindsay at the front and her incredible administration skills, we still get to see her in another capacity as Leader for the Birthing from Within prenatal classes that have recently started at Westside Midwives. UBC midwifery students Melissa Forsyth and Jade Bowman have finished their placements with Westside Midwives at the end of March. We are thrilled that Jade will come back in her capacity as Registered Midwife in June, to continue caring for clients on the Green team. We wish all the best to Melissa in her studies over the next two years. To help us with administration over the summer, we are pleased to welcome Sarah Loewen to our team. Sarah is the new friendly voice you’ll hear on the phone and often see at the front. She is also a student in the UBC Midwifery program. Previous: Previous post: Blue team annual alumni picnic a success!